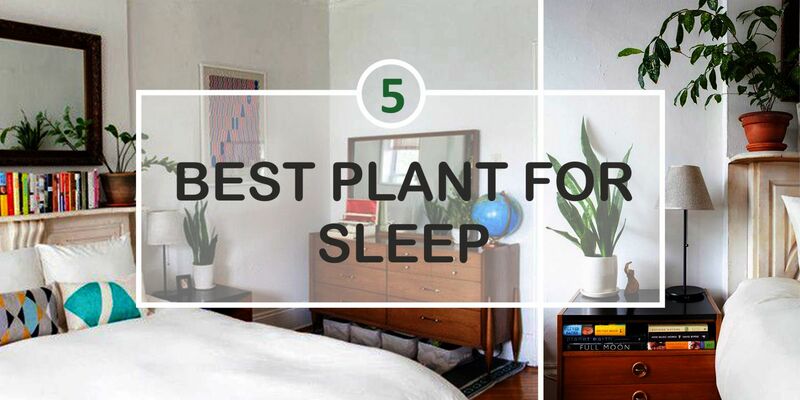 “Plants & A Good Night Sleep”, yes that’s true. Lack of sleep or improper sleep is a problem for many and we spend a lot of money finding a solution for it, however many of those solutions are either result less or harmful in the longer run. Sleeping pills are dangerous for one’s health and can be prone to other side effects too. The increasing stress and work pressures in daily life have led to insomnia issues taking toll in many lives and as a result affecting productivity and energy levels in the daily routines. One easy and effective way to counter sleep disorders is to fill your bedroom with natural plants that are not only effective in assisting you for better sleep but also will add up to the scenic beauty around and bring vitality to life. These are specific plants that exhale high levels of oxygen at night and negate chemical fumes and dangerous gasses passed away from electronic devices kept at home like refrigerator, LED, Microwave and likewise. Many researches and studies conducted world over have time and again proved that spending time with nature reduces stress levels and calm downs the mind for relaxation. Plants are a good way to keep indoors lively, fresh and evergreen. Also studies have found out that indoor air quality is far worse than the outdoors and definitely can impact our breathing mechanism causing uneasiness and accumulation of dust particles in our lungs. Snake Plant : Snake plants are considered to be one of the effective air purifiers for indoors that negates the effect of toxins like Formaldehyde, Benzene and other dangerous gasses that are present in the air causing harm to one’s body. Snake plants are good in its looks and can be a good buy for its lively décor too. It is a best indoor plant for your home. Keep snake plant at home and breathe fresh air and sleep well at night. Spider Plant: Spider plants are brave fighters in clearing the air up to 90% of the toxins present in the environment and give you fresh air to breathe in. They absorb chemicals fumes and odours present indoors, improving overall atmospheric quality to let you sleep better. Lavender : Lavender is considered to be an aromatic plant which encourages sound sleep and reduced stress levels in its surroundings. This good looking plant adds up to your home décor too and releases sweet fragrance around. Studies found out that Lavender induces sleep and keep the surroundings light. They are considered best indoor plants too. Peace Lily : Peace Lilly is an indoor plant that keep your indoors cool and lively. They are known for their low maintenance and care free upkeep. They are good sleep inducers as they have the ability to suppress airborne microbes and remove toxins from the air to give your family clean air to inhale and sleep well. English Ivy : A plant considered to be heaven for people with sleep issues and insomnia. Keep this plant in your bedroom or on the side table and take a quick power nap to freshen up yourself. Apart from being a lively home décor English Ivy is easy on maintenance and price too. It can be gifted to a loved one too. So why to wait and spend money on useless and harmful pills. Buy today Plants that will help you sleep better and increase your day’s productivity. Log in to www.greendecor.in and order your plants today to get it home delivered. Do you know that Plants are Effective Stress Busters?